The gender distribution of beneficiaries is relatively even, with females accounting for 51% of beneficiaries and males 49%. Approximately half of the beneficiaries are youths (18‒35 years of age) or younger. The agricultural experience of beneficiaries at the project start is as follows: more than five years’ experience (58%), no agricultural experience (31%), and less than five years’ experience (11%). 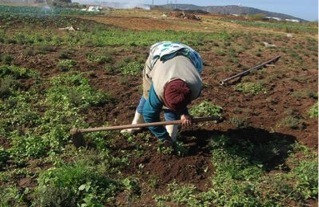 Project farms are indebted by an average of R1.85 million, which includes those project farms with no debt (65%). For the project farms that have debt, the majority (89%) have indicated that they are capable of servicing their debts. Approximately 69% of project farms have also revealed that they are able to reinvest finances into their business, which is a positive indication for successful undertakings. The table below illustrates the project performance of the sample taken of 135 projects (55% of the project supported by the Western Cape Department of Agriculture). None of the failed farms comply with any of the following aspects, which reveals that these aspects correlate mostly with failed projects and, therefore, are likely to be key reasons contributing to failure: – No beneficiaries previously resided on the farm. No production records in place. – No beneficiaries anticipate improvements in regularity and consistency of household income. No beneficiaries experienced very good/good change in standard of physical living conditions.? No beneficiaries experienced very good/good change in satisfaction with availability of money for household. Record keeping: monthly income and expenditure statements, production records, annual financial statements, projections of income and expenditure. The comprehensive report for the Land Reform evaluation is available for public viewing at the Western Cape Department of Agriculture at Muldersvlei Road, Elsenburg. To view this document, kindly arrange with Adele Isaacs (Tel: 021 8085045).